Panorama views, century-old beech forests, hidden meadows and rippling brooks – these are the trademarks of Teteven Balkan! 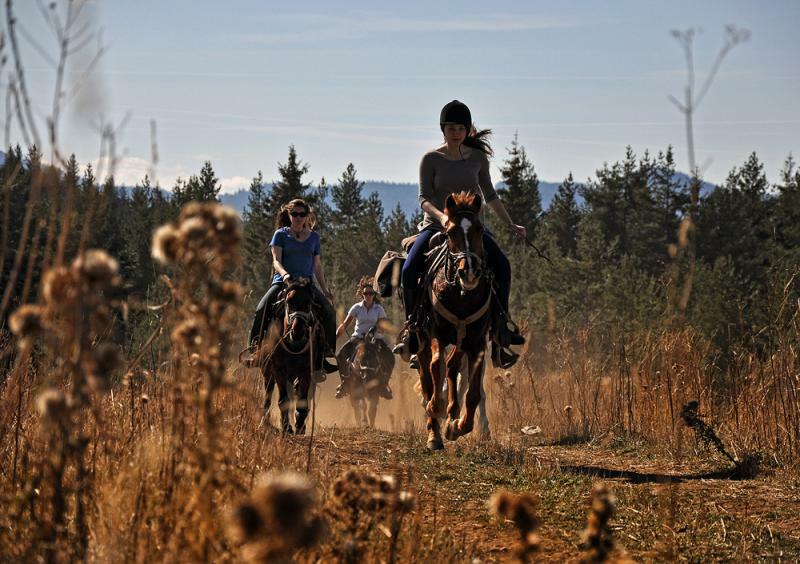 We suggest you experience them riding on a horse back. 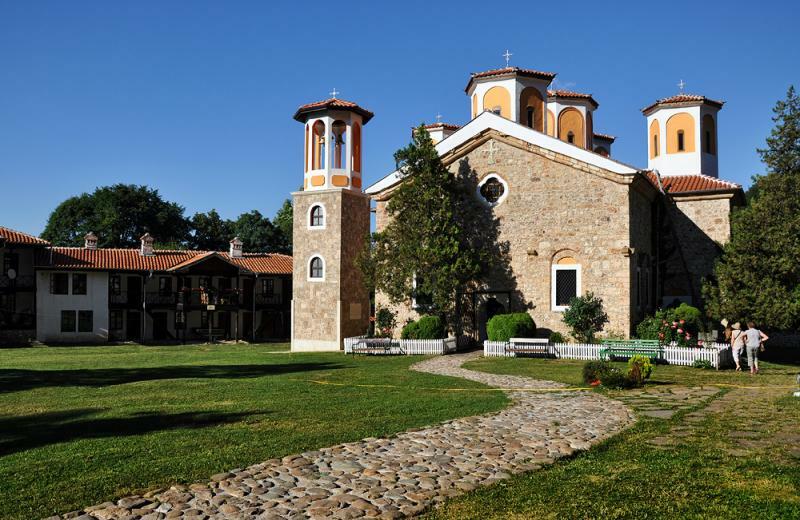 In this 3-day tour we have added a trip to Etropole Monastery. Thus, along with the visit to Glozhen Monastery, you will get to know a part of the history of this picturesque region, while the accommodation in a guesthouse will make you feel the unique atmosphere of the genuine rural life. 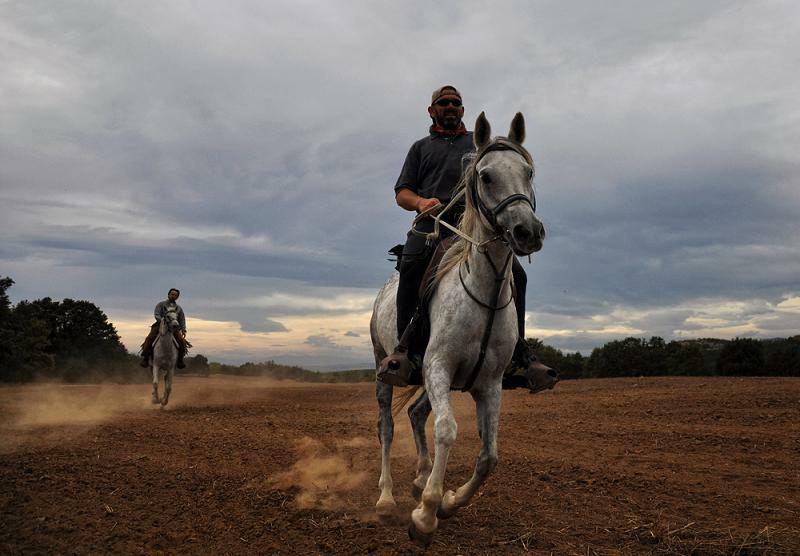 From Golyam Izvor we head to Brusen Ridge – suitable for galloping. Then we descend to the village of Brusen and continue riding to Lopian where we will overnight. In the afternoon – drive to Etropole Monastery. 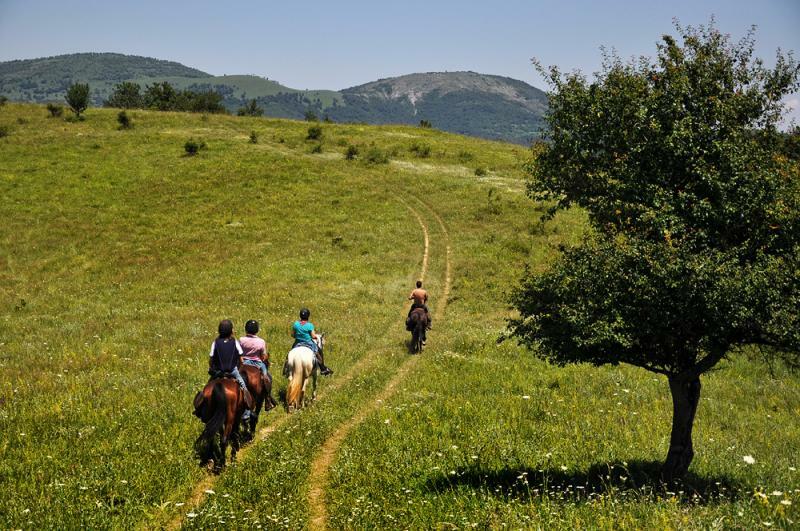 There is a mountain in Bulgaria like no other – Rodopi! An ancient mountain, surrounded by ancient legends. Dark forests and bright meadows, deep gorges and spacious views, stone villages scattered on its slopes and cattle grazing on its pastures. 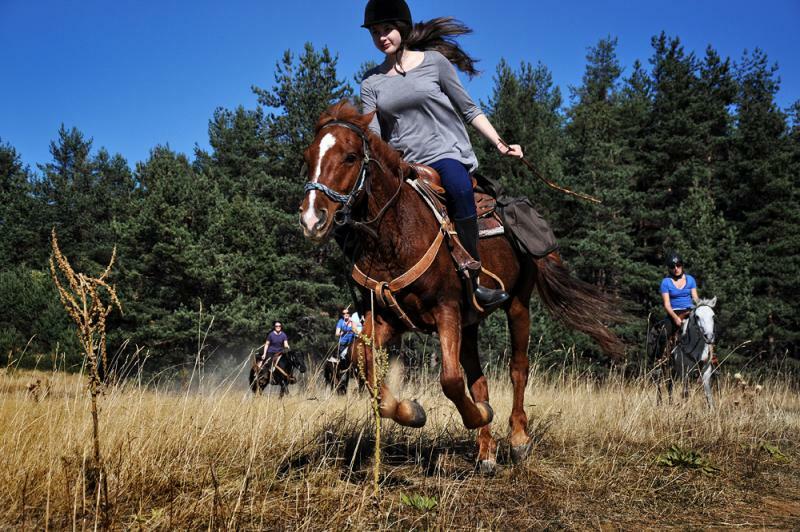 We offer you the chance to experience the genuine Rodopi Mountains riding on a horse. Three days of a complete union with the nature! 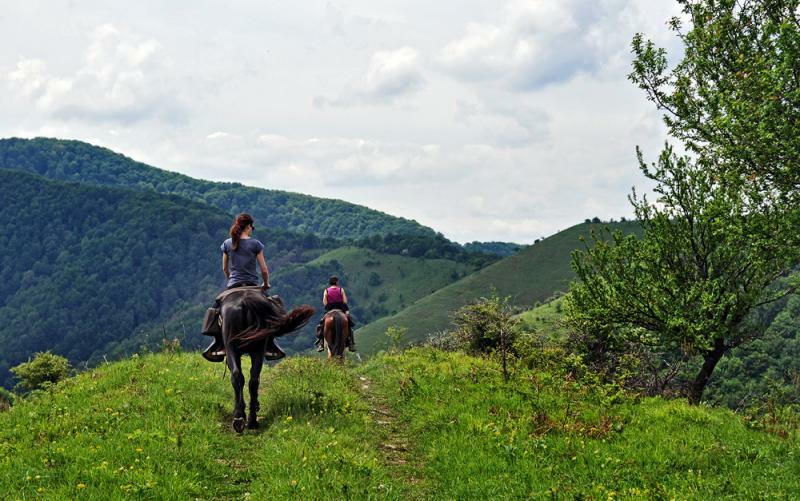 We head south-west riding through meadows and beech forests with good stretches for trotting and cantering.. We will make a stop at Leshtensko area, enjoying the beautiful views on both sides of the trail. Overnight in Bryanovshtitsa hunting lodge, rooms with shared faciliies. Now the trail goes to the east, following some dirt roads. We reach the village of Hrabrino where we stop for lunch. 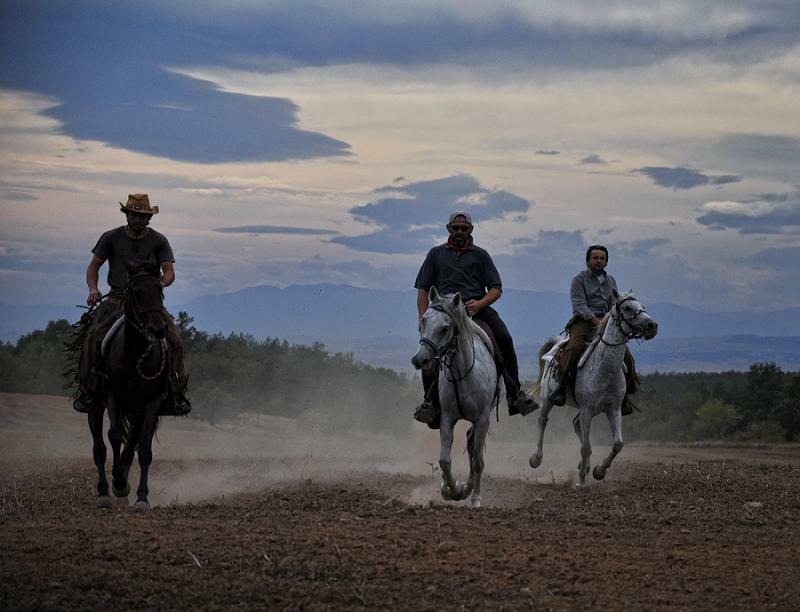 Then we saddle up and make for the village of Dedevo, a small mountain village standing at 1050 m above sea level. The night is spent in a bungallow, two rooms sharing WC/shower. This is the last riding day and will take us back to the starting point of this trail. 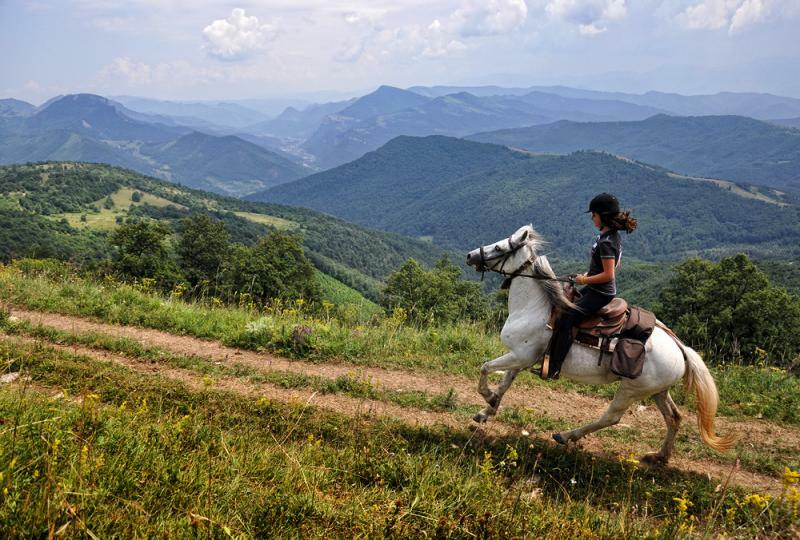 we ride along the crest of Chernatitsa (Black Mountain) Ridge, having our lunch close to Zdravets Hut. 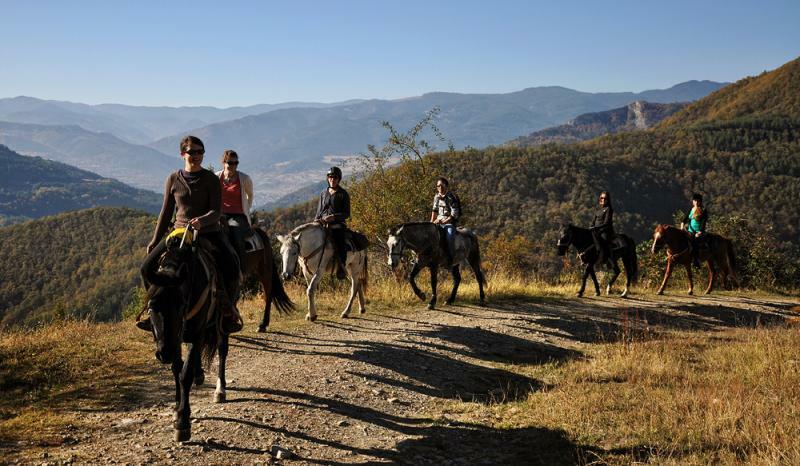 Then the trail descends to Purvenets village where we say farewell to our horses before heading back to Sofia. End of tour. 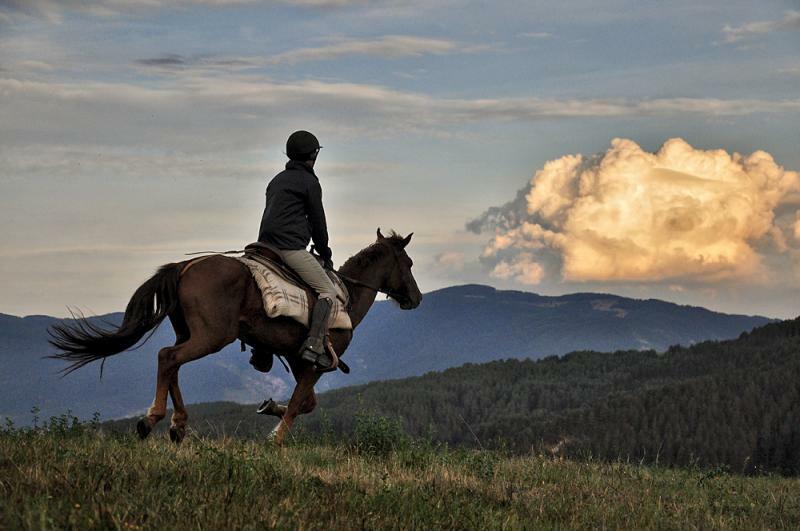 Note: This tour is suitable for intermediate and experienced riders. 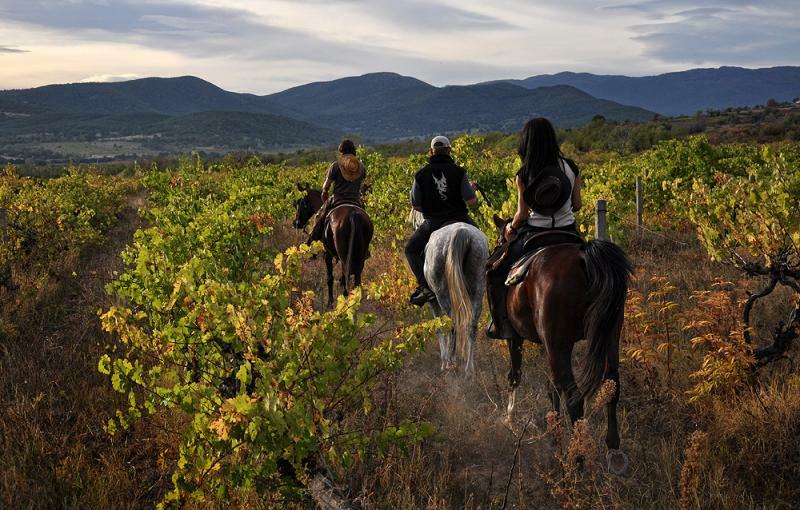 To combine the pleasure of horse riding with exploring of the ancient Thracian civilization, to learn a bit of the history of the ancient Rome and to finish the day relaxing in a mineral pool in a SPA center – if all of this is irresistibly attracting to you, then do not miss this tour! Transfer to wine cellar Starosel. We meet the horses and some brief instructions follow. We head northwards to the mountains. Along the way we will pass by the Thracian sanctuary Paralia, Apollo’s sacrificial stone, “Saddle of desires”, and the rock sanctuary Kamenitsa. Last is the Thracian residence on Kozi Gramadi peak. Under Fenera peak we will have a break for lunch, and then we will continue to Byalo Kamane tourist complex, where we will spend the night. Following mountain paths we will reach Buntovna hut, then we will cross Staikovi Kamani area, pass by Garvanov Kamak (Raven stone) sanctuary and return to the cellar. Overnight. 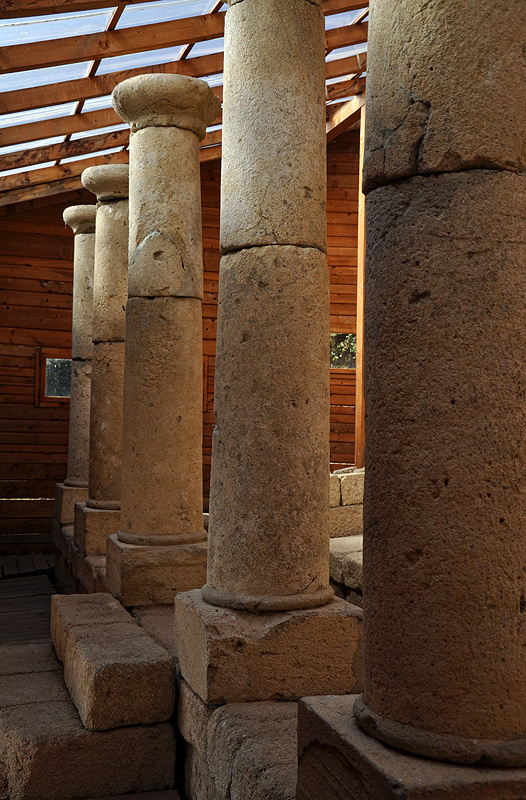 We head back to the riding base in Hissar visiting this time the Thracian temple Horizon and the tomb in Chetinyova mound. After a rest by lake Almalaka we will return to the base crossing fields and meadows.